One of the publicity photos to promote Colton’s new season which premieres January 7th. A day after Fleiss’ tweet, USA Today’s Chris Woody calmed fears with a photo posted on Twitter of himself and the mansion with no damage. Chances of living in that mansion with thirty other girls are still possible, DO NOT WORRY! View contestants get of the mansion as they exit the limos night one. 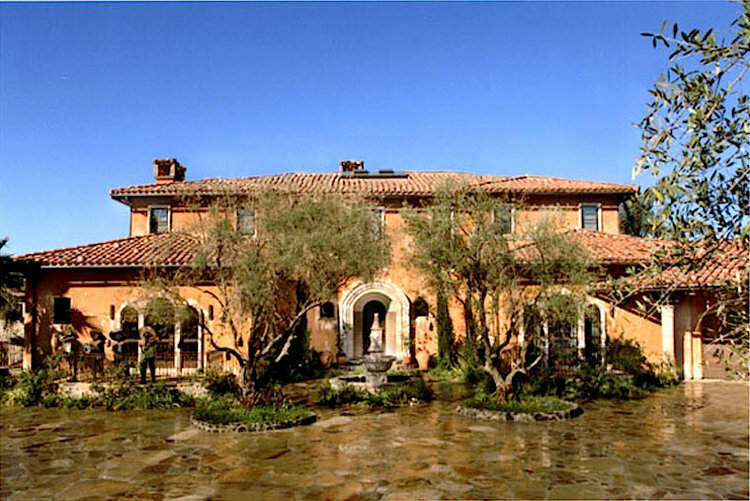 Yet, the fate of some Bachelor relationships has not been as lucky as the mansion. Recently, Kaitlyn Bristowe and Shawn Booth split after a three year long engagement (she actually gets to keep the Neil Lane ring, the guy who appears in every finale episode with rings to choose from). The two released a joint statement promising they would remain friends and asking for privacy after a very public relationship. Kaitlyn originally starred on the nineteenth season of the Bachelor with Chris Soules placing third (good choice because Soules is currently in jail). She secured her spot as the Bachelorette on the show’s eleventh season after one of “the most dramatic seasons ever” (please read in Chris Harrison voice) started with two Bachelorettes, the other Britt Nilsson. Somehow Nick Viall made yet another appearance on the Bachelor series during her season and actually made it pretty far, losing only to Shawn after he accepted Bristowe’s final rose. Bristowe and Booth’s breakup is overshadowed by the number of couples and current drama of the Bachelor nation. Ashley Iaconetti (girl with the ugly crying face) and Jared Haibon recently got engaged, and the couple is currently preparing plans for their wedding. The engagement was announced in June with Instagram photos of the couple on a beautiful beach and Iaconetti posted a photo showing off the rock. The couple met Bachelor superfans Mila Kunis and Ashton Kutcher in September, so of course, they scored an invite to the wedding the whole Bachelor Nation, and Ashley, have cried many tears over. Ashley made her first appearance on Chris Soules’ season back in 2015, receiving the nickname Ashley after Ashley Salter also competed on the same season. She competed on seasons two and three of Bachelor in Paradise trying to win Jared’s attention but left Paradise with no prospects. Jared started his Bachelor franchise career on season 11 of Bachelorette, and similarly to Ashley, was on both season two and three of BIP. Arie Luyendyk Jr. star of the most dramatic After the Final Rose special ever and Lauren Burnham recently announced they were expecting (the baby has an Instagram and the captions are written from its perspective–CREEPY). The couple got engaged after the hour long unedited raw footage of Becca and Arie’s breakup played on TV. Bushnell and Luyendyk (not sure how to pronounce that) Jr. are currently planning their wedding and anxiously awaiting the arrival of their new baby. Also expecting, Bekah Martinez, the 21-year-old from Arie’s season, and is very far along in the pregnancy from the looks of her Instagram photos. A few couples from Bachelor in Paradise are still together: Raven Gates and Adam Gottschalk (personal favorites), Carly Waddell and Evan Bass (the creepy guy with mustache), Astrid Loch and Kevin Wendt (Canadian firefighter and total heartthrob from Bachelor Winter Games), Chris Randone and Krystal Nielson (annoying voice from Arie’s season). Sad to announce that the best couple out of the newest season of BIP Jenna Cooperfit and Jordan (Golden Underpants) Kimball split the day after the season’s finale. Kimball proposed to Cooperfit amidst rumors of a cheating scandal. Screenshots show texts between Cooperfit and another male where she claimed she didn’t even like Jordan, yet Cooperfit denies the allegations. Needless to say the couple did not work out, but at least Jordan has his one thousand Tinder matches to fall back on. Lauren Bushnell, who got engaged at the end of Ben Higgins’ season of the Bachelor but fortunately for her and unfortunately for Higgins who deemed himself unloveable broke off their engagement a few years ago. Bushnell returned to the dating scene and is currently seeing country music star Chris Lane. The couple went social media official after posting a matching photo of their appearance on a red carpet for a Broadcast Music, Inc. event. Chris Lane who sings “Take Back Home Girl” and “Fix” is no stranger to the Bachelor Nation. He first appeared on Nick Viall’s season (not sure which one because there were so many) singing his song “For Her”. Lane has apparently dated other Bachelor alums in the past: another Lauren B. (vaguely recall cheering for her not sure) from Ben Higgins’ season and Clare Crawley from Juan Pablo’s season (the season that must not be named) and more recently the newest Bachelor spinoff the Bachelor: Winter Games (don’t even get me started on that show). Grocery Store Joe Amabile traded in his bathing suit and flippers from Bachelor in Paradise for dancing shoes on his run on Dancing with the Stars making it to the final five with the help of Bachelor Nation. If Bachelor Nation voted as they did for Joe in national elections Chris Harrison would be President by now and the new White House would be the Bachelor Mansion (just saying). Amabile reconnected with Kendall Long (taxidermy girl from Arie’s season) after their split on Bachelor in Paradise and the couple is still posting Instagram photos together, so maybe they will last at least a little while longer. The last three Bachelorettes and their fiancés are still going strong. JoJo Fletcher and Jordan Rodgers revealed a fight that almost broke them up back in September, but with the premiere of their new show the couple seemed to be doing well after tackling building a home together. Rachel Lindsay and Bryan Abasalo are waiting for a possible TV wedding (still think it should have been Peter–she literally cried off her fake lashes). Becca Kufrin and Garett Yrigoyen (don’t know how to pronounce that either) got their Costco membership and have settled down. Peter Kraus (the world’s favorite Bachelor contestant) recently went on a date with Total Bellas star, Nikki Bella, teasing Bachelor Nation with a promo for the show’s new season. The promo included a romantic date between Kraus and Bella and ended with a possible kiss. Don’t worry ladies, Peter may still be on the market after Nikki questioned whether or not she was ready to date again after her split from John Cena. Fingers are still crossed Peter will make an appearance again on the Bachelor because who doesn’t miss his beautiful gap teeth. 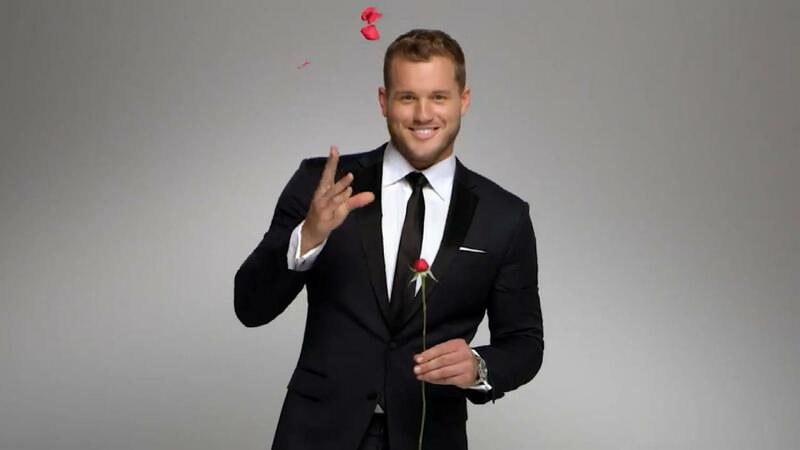 The newest season of the Bachelor will premiere Monday, January 7. The main man is Colton Underwood, who made his Bachelor franchise debut on Becca’s season of the Bachelorette, advancing to the final four. During the season, rumors speculated that Underwood was only on the show because he thought Tia Booth, a fellow contestant on Arie’s season (creepiest Bachelor ever, just saying) was going to be the next Bachelorette. Tia and Colton had developed a personal relationship before Becca’s season that they tried to rekindle on Bachelor in Paradise. Needless to say, it did not work out and Colton secured his spot as the next Bachelor. Tia will not be making an appearance on Colton’s season, as Instragam photos revealed, she is currently in a new relationship with Cory Cooper. As for Underwood, a former Tight End for the Oakland Raiders and Linebacker for the Los Angeles Chargers who graduated from Illinois State University (Illinois represent whoop, whoop), he is hopeful he will find the one this season and teased fans recently with a photo of his new special someone covered by an emoji on Instagram.